I met Richard Hatch at WonderCon several years ago. He was sitting next to Erin Gray of Buck Rogers fame and across from Malachi “Commodore Mendez” Throne who had just inappropriately referred to my then three-year-old daughter as a “heart breaker”. 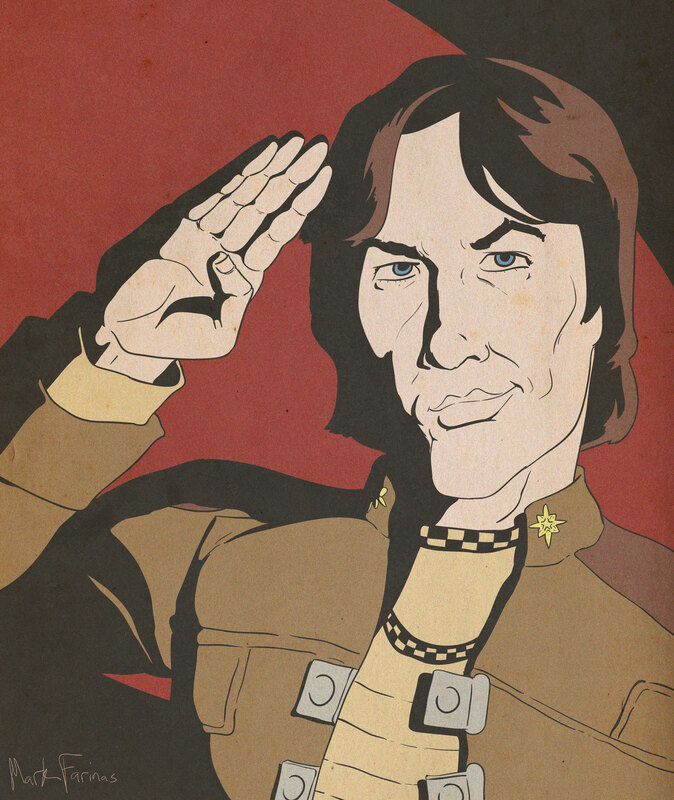 I really liked the character of Tom Zarek, but wished that he had been more of the morally ambiguous yet ultimately right-minded freedom fighter he was originally touted as instead of the sort of mustache twirling villain he became. On hearing my analysis of the character, Hatch began to fume. Hell, he didn’t even let me finish. He slammed his fist on the table and lectured me at me at the top of his lungs on how he was the real hero of Battlestar Galactica. He alone had kept the Roslin/Adama dictatorial agenda in check. He alone had fought relentlessly for democracy, civil rights, and freedom of speech. If what he did was underhanded and subversive it was nothing in comparison to what his opponents where plotting. By the time he finished he was standing and I was speechless. As I settled down from the initial shock and embarrassment of being publicly berated by a famous person who was towering a half a foot over me, I realized I wasn’t being yelled at by Richard Hatch. I was being yelled at by Tom Zarek. I gave BSG a second binge watch just two months ago, this time looking for details I might have missed when it was in first run. And you know what, folks? Tom Zarek kinda had a point.